It’s no surprise that so many people use PLEX these days. The one challenge I have had thus far is providing a decent server that my friends can access without the limitations of my upstream bandwidth. While PLEX Pass gets you a Plex Cloud server, to be honest, the implementation has been less that stellar since its release. I set out to build something myself on a Virtual Private Server (VPS) and decided to document the build after a couple tries that landed me on something that worked well. I decided to use Google Drive for my media library storage so once it all was uploaded initially and setup to sync twice daily from my master library on premises this build process could start. You really can’t start the VPS build until you get your media uploaded which is the longest part to wait for. I’ve done this so many times and had so many notes it was high time to consolidate them. This is probably the worst part. There is literally hundreds of options out there. The problem is cost for what you get. I personally tried about 5-6 different ones and the real problem is finding one at a decent price that also includes Unlimited Bandwidth. The reason for this is when you connect to Google Drive your data will use double bandwidth for the pull from Google Drive and the push to the client, passing through the PLEX Server as a proxy. NOTE: As of July I have since dropped the original provider. While they stated unmetered bandwidth they constantly traffic shaped my systems down to 15Mbit/s with no explanation. They also would not bump it back up. I have moved over to try another provider to see how they go called Direct Space who has KVM SSD options. Their speed is not quite the same and they say it’s a fair share access port. They also have a vCloud option that does not list the fair share use on the port I may test out as well. I have these both on Ubuntu and CentOS. What I found I also liked about all providers is that they offer an ISO library that not only included both, but specifically CentOS 7 Minimal which I am personally a fan of to keep the installation as light as possible. You can elect to spin up and install from the ISO yourself and that is what I did and the rest of this post will cover the steps to configure the PLEX VPS under CentOS 7 Minimal. Based on the fact this is a minimal installation there is some packages you will want/need for some basic toolsets. I will get into some of these later, but here is the list I compiled as I went through the installs. Click “API Manager” then “Library” in the left-hand pane (will take you to https://console.cloud.google.com/apis/library). Click on “Drive API”, then “ENABLE API”. There is an interesting note that the PLEX installation does add a repo for updates, but you do need to install manually first then update the repo the installer creates so you can easily update later without the manual hassle. This is pretty straight forward, but the trick is connecting to it to set it up. 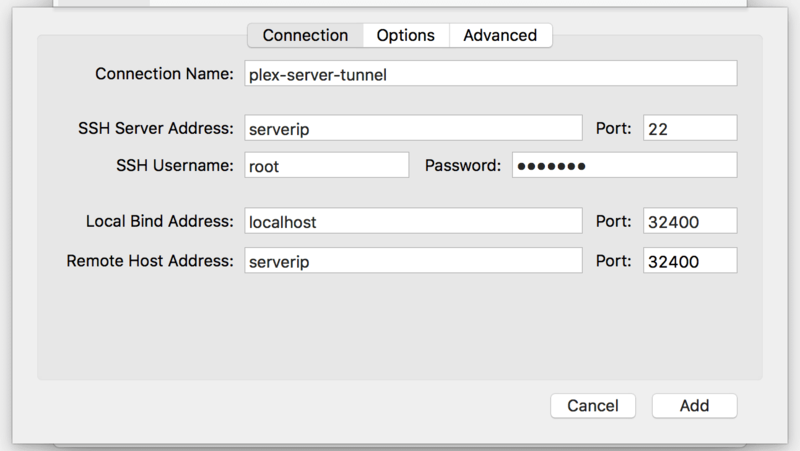 Once you complete the setup to your existing account you can disconnect Secure Pipes and finish the setup from the regular PLEX.tv page and the new server should be connected. You will need to enable remote access of course but if you setup the firewall settings above it should connect just fine. At this point depending on the time it takes for PlexDrive to cache your Google Drive, you can then add libraries and access them in by browsing to /mnt/gdrive/[DIRECTORY]. At that point the PLEX server will start building the library. You can also migrate library meta data using the process already documented by PLEX which take a little more work. This is an extra step but well worth it if you want to be able to see more detail on the streams happening and also see some analytics data and even get alerts via notifications. I use this a lot to troubleshoot or get notified about upgrades as well. You can find out more from the Tautulli Page here. The setup is pretty easy though. You can now point a browser to http://SERVERIP:8181 and you will see the setup screen for the application and you can go from there with the well documented information. This is a great walkthrough, but I’m curious when you did this and if you’ve made any changes or have any follow-up since then? did it the day it was posted about, and no changes since. I made a couple syntax tweaks in the lines for the commands as I noticed a few errors and changed the order. Thank you for this recent post. I may need to do this as I have family all over the US that connect and it kills my home network when I start getting 2-4 people on at a time. I have 3.5tb of data at the moment and Google jumps from [email protected]$20 to [email protected]$100. Do you know of a cheaper solution to run more like 4 or 5TB for storage? Look at getting an actual GSuite account. Great tutorial. I am having an issue starting Tautulli. This happens on Centos and Ubuntu. Any ideas? I am not running it on the Linux box anymore I deployed it using Docker. There may be some people on the GitHub for it or there is support for Tautulli on Discord as well that is very helpful. Chris, why do you suggest KVM vs OpenVZ if ou’re using Linux as your OS? From my understanding, OpenVZ uses less resources and is generally cheaper for the same hardware than KVM access. I know it is limited to only using the base OS – i.e. Linux – but that is your OS of choice anyway. I do recall that root access is (typically? always?) not provided through OpenVZ, so that may be an issue, and I’m not sure if you are limited in which Linux distro you can use, which could be an issue depending on your familiarity. OpenVZ usually requires the host to enable FUSE for the drive mounts to work KVM is a little easier as it does not require their intervention. I have found pure KVM seems to run a little better than OpenVZ as well. It’s more of a preference not a hard and fast rule. Both work OpenVZ just has extra steps specifically for FUSE. I’m trying this on their “cloud” (vCloud) server as you mentioned above. Using the VC4G version – 80GB SSD, 4GB RAM, 8 core proc, unmetered transfer. I initially started using the PlexGuide.com on Ubuntu. Got through a working system with TV and movies pulling from GDrive. However – it was unbearably slow, whether direct streaming or transcoding. The same files from the same GDrive location played almost instantly using Plex’s native cloud server. So, I am trying your setup to perhaps provide an apples to apples comparison. I’ll let you know how it performs. I note that you don’t list the specs on the service you’re using (unless I missed it) so I’m not sure if the service level I am using is comparable. I think I am using the $10/month ones for now. thanks for the guide, as a plex cloud user im looking into having a vps so i can keep using plex. I have a GSuite account, would you say this guide is a step by step to setup my plex vps, using direct space? It’s pretty spot on I just used it again myself copy/paste verbatim this weekend to rebuild one of my VPS setups. Not that I can think of unless the copy/paste inserted some other text. I just ran all this again myself a few weeks back to rebuild. For what? PlexDrive? That is documented in the PlexDrive ReadMe file you have to do some GDrive API setup before hand but it is documented with PlexDrive documentation.